CAN I GET RID OF MEDICAL BILLS IN A ST LOUIS BANKRUPTCY? Yes, you absolutely can. In fact, having high medical bills is one of the biggest reasons why someone chooses to file a St. Louis bankruptcy. The amount that hospitals charge for medical services is extremely high. A recent report done in Time Magazine shows just how ridiculously high. In one example, the author cites how hospitals will routinely charge $10 per aspirin (when you can buy a bottle of 100 aspirin on Amazon for two or three dollars). And that’s just for aspirin!! So you can see how quickly these bills add up. In the end, it’s not unusual to see a medical bill in the tens of thousands of dollars (and that’s even when you have decent insurance). But a St. Louis bankruptcy attorney can get these bills discharged. Medical-related debt is described as “unsecured” debt. This means that there is no collateral attached to it. In other words, if you don’t pay the bill, it’s not as if the doctor is going to come and repossess the stitches she sewed into you. Once the debt is discharged, the hospital or doctor’s office can no longer contact you about the debt (or demand payment, or turn it over to a collection agency, or harass you about it). This would be true for the rest of your debt as well (like credit cards, payday loans, old cellphone bills, utility bills, overdrawn bank accounts, etc). In addition, if you are dealing with a wage garnishment, or a bank levy, or if one of your creditors has filed a lawsuit against you, then a St. Louis bankruptcy lawyer can stop (or get rid of) this, too. So for instance, if you have an overdue medical bill to Barnes Jewish and they have passed that debt on to a collection agency, and the agency sues you for breach of contract, and they get a judgment that allows them to garnish your wages: filing for bankruptcy in St. Louis will put an end to the garnishment, get rid of the judgment, and discharge the underlying debt owed to BJC. All in one fell swoop. 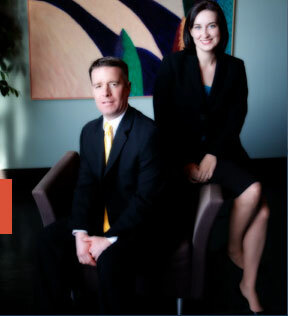 The experienced St. Louis bankruptcy attorneys at Brinkman & Alter, LLC have been taking care of people’s debt for over ten (10) years. Our goal is to get rid of all your creditors, make sure you keep all of your assets, and get you the fresh start / clean slate that you need in order to move forward with life. We have two locations: in the Central West End, at 1 North Taylor, St. Louis, MO 63108 (on the corner of Taylor and Laclede); and in the Twin Cities of Festus / Crystal City, at 1000 Truman Blvd (Highway 61/67), 63019. The initial consultation is free of charge. So call today to learn more! !